Silly Mommy, Tricks (-or-Treat) is for Kids! Since I am a kid at heart, I figured I am allowed to enjoy trick-or-treating as much as the kids do. But I don’t dress up. Well, I don’t dress up MUCH. 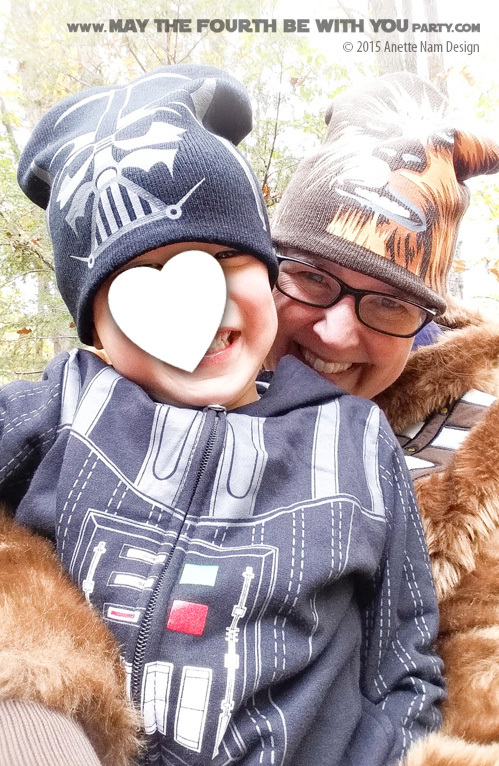 I usually only wear my Yoda hat and the hubby has a Jedi robe and we carry a light saber or two for safety. This year however, the hubby is going to be Chewie. 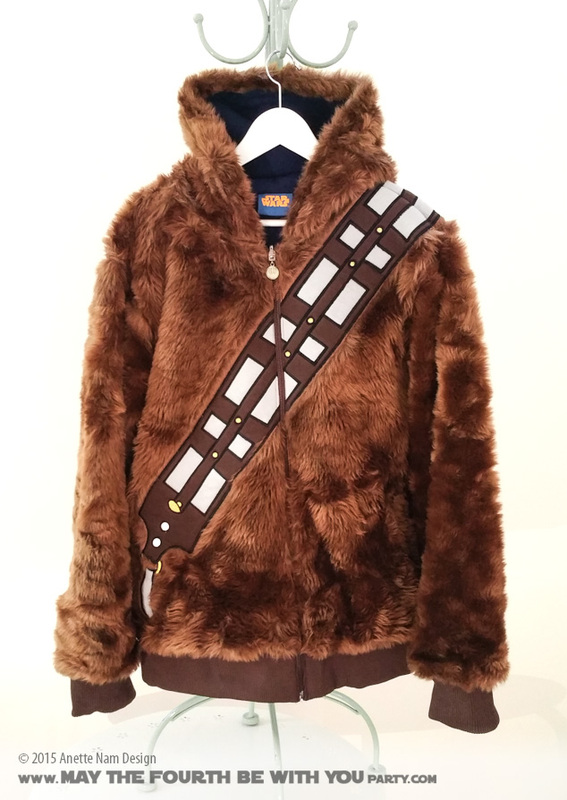 After eyeing the Chewbacca jacket for several years, I finally broke down and bought him one (though, I have already started to borrow it!). It is furry, warm, and has a bandolier… What more could one want for a cold Halloween night, right? It gets better. 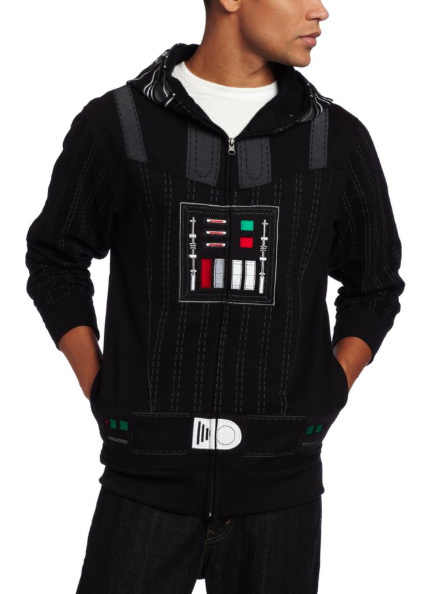 It is reversible… On the other side is Han’s Hoth jacket. It is just as cool, I just wish it was brown instead of blue. To complete the costume, I bought a Chewbacca hat for a mere $3 at Target. Our little guy already had the Darth Vader hoodie. So with the hat and a glow stick lightsaber, he’s got a great every-day costume. I found the Star Wars character hats in the “dollar section” of my local Target, and it does not seem like they are available online. So you’ll need to go to your store and check to see what they have in stock. Amazon also has a bunch of other options if you are willing to pay a little more.